Modern Medicinals CBD Oil was founded on the belief that every person deserves to feel their best. Using the highest quality Oregon CBD flower combined with our all-natural extraction process produces the highest caliber bioavailable CBD oil on the market. Every bottle is hand-made in Portland, Oregon and lab tested for purity and strength. We began our journey making tincture for ourselves, and after much testing and experimentation, we are happy to bring this product to you. Unlike whole plant and full-spectrum CBD oils on the market, our oil is processed using only Oregon CBD flower and nothing else. Our proprietary extraction process does not use alcohol, solvents, or CO2. No trace chemicals remain since none are introduced. By starting with quality at the source and our proprietary process, we are able to convert the CBD molecule to its most pure form. 100% Bioavailable CBD is the only way to go. Bioavailable CBD means your body can use it right away for faster absorption. Faster absorption means you can get back to feeling like yourself as soon as possible. 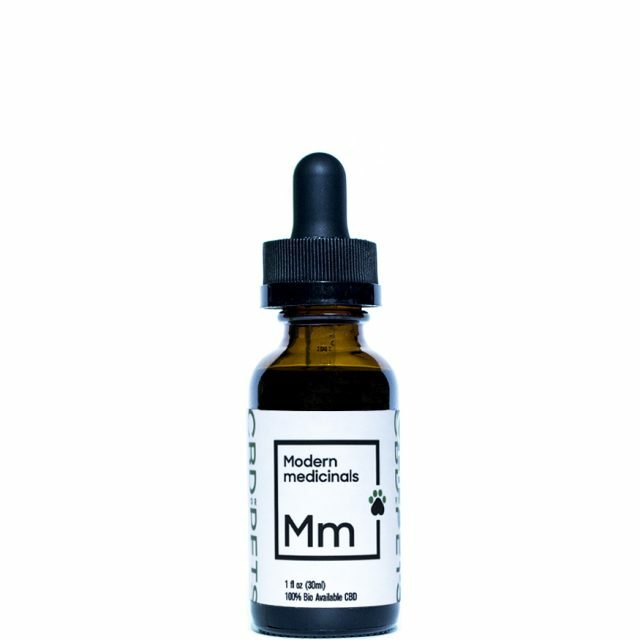 Modern Medicinals CBD Oil has a 5 minute activation time when used topically or taken under the tongue. That’s fast! We have made it our mission to produce the highest quality CBD oil on the market. This dedication means that unlike many other producers that carry CBD products in multiple categories, we focus on what we do best. Whether you’re an athlete, a veteran, or someone who simply wants to enjoy their everyday activities, Modern Medicinals CBD Oil is a great choice for anyone who wants to feel their best. We even give it to our pets! We’ll say it again: Modern Medicinals with not get you high. CBD is a non-psychoactive, non-addictive, and non-toxic cannabinoid associated with medicinal uses (rather than recreational.) Since there’s no THC present, Modern Medicinals can be taken at all hours of the day without feeling “high”. Want to see our test results? Training and recovery go hand in hand, but aches and pains are part of every athlete’s story. Finding natural alternatives can reduce the harmful side effects that come with prolonged use of ibuprofen and Tylenol, and help you recover faster, stronger, and better. Ibuprofen. Tylenol. Lidocaine. Opioids. Taking these for daily use can have harmful side effects on internal organs and your quality of life. Finding CBD alternatives for chronic conditions can benefit the patient by promoting an overall state of well being in the body. Our furry friends are more than just friends - they’re part of our family! And when a family member is struggling, it’s nice to be able to lend a helping hand. Modern Medicinals CBD for Pets is a great way to keep those tail wags and kitty purrs going strong! The struggle is real…but so is the solution. Modern Medicinals is dedicated to helping everyone find their balance so they can enjoy the things that really matter. Meds should be helping, not hurting, and CBD is a great choice for veterans looking for natural alternatives. Whole Plant or Full Spectrum? You don’t eat the leaves of a potato plant, and you wouldn’t want to use the “whole plant” when it comes to CBD. The roots, stems and stalks contain minuscule amounts of Terpenes and CBDA. The trichomes (the crystals on the female flower) contain more than 90% of the raw CBDA present at the time of harvest. While the full compliment of cannabinoids exists in the plant, many evaporate naturally at room temperature during handling and processing. 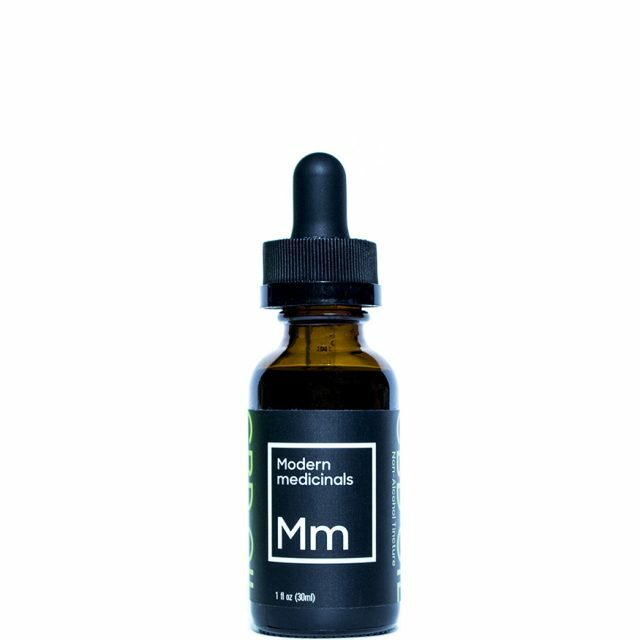 By using only Oregon CBD Flower, Modern Medicinals contains complimentary cannabinoids and the less volatile Terpenes that can enhance the natural power of the bioavailable CBD molecule. While some CBD products claim this “full spectrum” effect, it is an empty promise. Remember, bioavailable CBD is the only form your body can use right away!